Mr. Salvatore Robuschi started his activity in a small workshop (50 sqm) in the city centre of Parma, the company was called Officine Meccaniche Robuschi Salvatore. 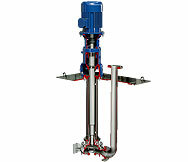 At the beginning the main business was pumps repair. In 1948 Mr. Robuschi opened a new production site (200 sqm) in a different location and started manufacturing "RCS…" pumps model, a range of pumps in bronze and vacuum pumps. He renamed the Company, which became Salvatore Robuschi and changed the existing logo, creating a new one, Salvatore Robuschi. In 1962 Salvatore Robuschi Company extended the manufacturing plant (600 sqm) and the range of products: “RACM…” self priming pumps, “RAMD…” multistage peripheral pumps and “OC..” centrifugal pumps with open impeller. In 1990 the Company changed its logo, adding “SR” initials to the Salvatore Robuschi previous one. 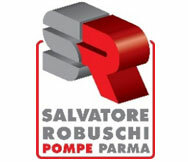 In 2001 Salvatore Robuschi built a new manufacturing plant (4600 sqm) which is the actual headquarter, located in the S.P.I.P. Industrial Area. The Company designed new pumps models: “HD…” and “HG…” close-coupled pumps, “RB..” channel impeller pumps and also vertical pumps. 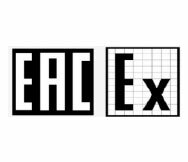 In 2003 Salvatore Robuschi started manufacturing pumps according to the Atex rule, for equipment to be used in potentially explosive atmospheres. In 2005 Salvatore Robuschi created a new Company logo, it became a square logo. In 2009 the Company extended the industrial hall (6600 sqm), expanded the horizontal “RB…” (up to 2400 m3/h) pumps series and designed cantilever vertical pumps. In 2010 Salvatore Robuschi obtained the TR-CU certification to export centrifugal pumps into the Russian market. 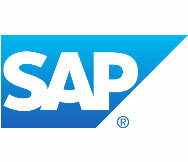 In 2014 the Company changed the ERP Software and chose the SAP System, to keep up to date and increase the company’s efficiency. In 2016 Salvatore Robuschi turned its logo into a new 3D form. 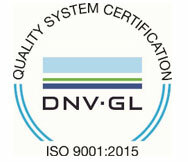 In 2017 Salvatore Robuschi obtained the ISO 9001 DNV-GL Quality Certification, which is very essential to work with demanding international customers.